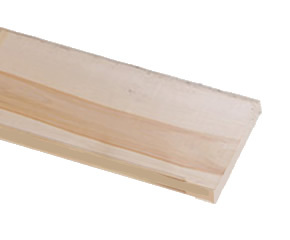 Hailing from the north-eastern and north-central United States, this is a softer, light-colored, even-grained hardwood belonging to the Populous family. Unfinished, aspen appears to have little or no grain, but the natural grain appears after the stain has been applied. Aspen can be finished to resemble cherry, walnut, and other more expensive hardwoods. It accepts most stains well, but may need a sealer to achieve an even coloring.